In a previous blog post, I reported that EPA announced that it was initiating a project to examine and promote “public dialog” about the development and use of genetically modified algae and cyanobacteria, including organisms modified by synthetic biology, intended for industrial purposes including those subject to the Agency’s TSCA biotechnology regulations. In my most recent post, I conveyed the news that EPA had scheduled a public meeting to solicit comment on these topics. This meeting was held in Washington, DC on September 30, 2015, and the following is a summary of the meeting. The public meeting was entitled “Considerations for Risk Assessment of Genetically Engineered Algae”. The home page for this workshop can be found here, and it has links to the three EPA PowerPoint presentations made at the workshop as well as the background papers issued prior to the meeting. As stated on the website, the objective for the meeting was to “receive public input and comments on EPA’s data needs to support risk assessments of biotechnology products subject to oversight under the Toxic Substances Control Act (TSCA) that make use of genetically engineered algae and cyanobacteria”. Shortly before the meeting, the agency posted on the website two draft documents outlining data requirements for TSCA submissions featuring algae or cyanobacteria or those involving “advanced genetic engineering techniques”. These will be used to update the 1997 “Points to Consider” document, and public comment on these drafts was requested. Presentation #1. Toxic Substances Control Act Oversight of New Organisms. Dr. Mark Segal of EPA OPPT made this presentation, giving an overview of EPA’s program of regulating biotechnology under TSCA, using its authority to regulate the entry into commerce of new chemicals not regulated by the federal government as foods, drugs, cosmetics or pesticides. Presentation #2. Considerations for Risk Assessment of Genetically Engineered Algae. Dr. Gwen McClung of EPA OPPT made this presentation, focused on criteria that may make algae different than other microorganisms in the context of the TSCA regulations, which were formulated in the 1990s with traditional industrial microorganisms in mind. Presentation #3. 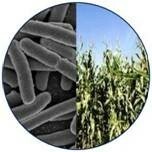 Considerations for Risk Assessment of Genetically Engineered Microorganisms. This presentation was made by Dr. Carolina Peñalva-Arana, of the Risk Assessment Division of OPPT. This presentation focused on the more recently-developed techniques of biotechnology, including synthetic nucleic acid technologies, and the need for EPA’s data requirements under TSCA to take such methods into account. EPA will continue to take public comments until October 31, 2015. The agency’s overall goal is to provide updated guidance for regulated parties regarding the types of data and information it wishes to see in reviewing Microbial Commercial Activity Notices (MCANs) and TSCA Experimental Release Applications (TERAs) for modified algae and cyanobacteria. The following are my overall impressions and analysis of the public meeting and the discussions and comments from participants. In my view, EPA appropriately laid out the need to reassess its data requirements for potential uses of algae and cyanobacteria, which were not contemplated when the regulations and the Points to Consider document were finalized in 1997. EPA did this without asserting that such uses carried any greater risk than other microbial technologies. However, I felt that the agency’s case for the need for new data requirements for “synthetic biology” was not as compelling, other than to acknowledge that techniques now exist that were not contemplated in the 1990s. Comments from regulated companies and at least one law firm active in the field were largely supportive of EPA’s role in regulating algae and cyanobacteria, and several of the presentations made specific policy suggestions or pointed out areas for which the agency should devote attention in further developing its regulatory policies towards algae and in developing the technical information needed in support of such policies. Several public interest groups or academic researchers expressed concerns over the possible risks or environmental impacts of the industrial uses of genetically modified algae, including algae modified using synthetic biology. The academic comments were mostly directed at the need for appropriate studies and whether the existing literature was adequate. The public interest groups who spoke were mostly ones that are opposed to, or concerned about, biotechnology in general, and so their concerns over genetically modified algae were not surprising, and if anything there were fewer representatives of such groups at the meeting than one might have expected. However, for the most part, their concerns had to do with the adequacy of the regulations to cover synthetic biology, as well as more general perceived shortcomings of the TSCA regulations (e.g. lack of outside review of MCANs, prevalence of confidentiality claims, whether the burden of proof should be on the submitter rather than the agency). Aside from one group calling for a moratorium on uses of industrial algae, I don’t recall hearing any substantive comments explicitly raising concerns about uses of algae or cyanobacteria per se. There was some discussion on how the TSCA biotechnology program would be affected by the recent White House directive for EPA, FDA and USDA to revisit their biotechnology programs under the Coordinated Framework or by ongoing Congressional efforts to revise and reform the basic TSCA legislation, but EPA had little to say about either situation. I presented some brief oral comments at the meeting, on behalf of one of the companies for whom I consult. The company will be submitting written comments before October 31, and I will likely submit some additional comments in m own name. I’ll update the blog as new developments warrant. Posted on October 16, 2015 by dglassassociates. This entry was posted in Biotechnology Regulations. Bookmark the permalink.